Happy New Year to you! January passed by so quickly. I’m just having the opportunity to connect with you. 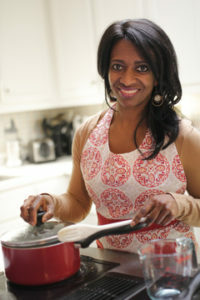 The primary focus for my communications to you this year will target food and fitness. Last year I unexpectedly surpassed my goal to loose belly fat and to firm up my abs and this year I hope to inspire you to reach your health and fitness goals as well. It takes having a made up mind and discipline to keep yourself on track to meet your goals. For those of you who have set or want to set Health & Fitness goals for the year, I challenge you to “be the Boss of your Body” this year. Start the year like a Boss! The responsibility of a boss is to effectively manage, to lead, to inspire, and to motivate their direct reports and to align them with the company vision. Our bodies are incorporated with many members and it’s our responsibility to properly manage each part for optimum performance. Tell your body what you want it to do this year, then manage to see that it happens. Be your own boss. 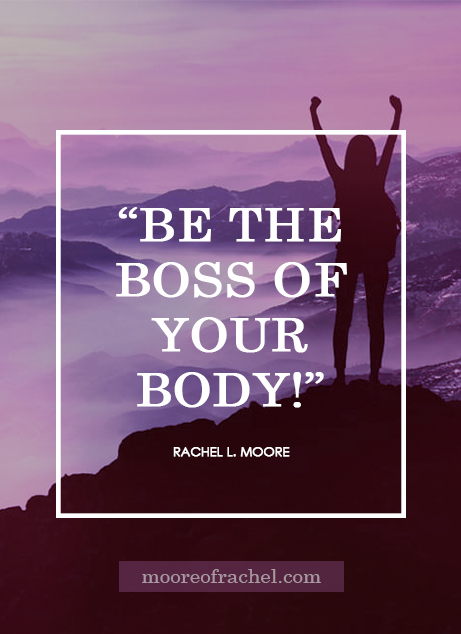 Be the Boss of your body! 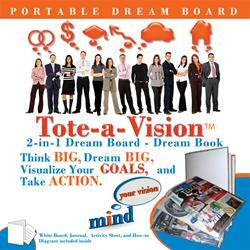 Portable Vision Board, called Tote-a-Vision. A custom sized card stock is provided for you to create your vision board, along with the clear vinyl Tote-a-Vision sleeve to protect your vision board. The Tote-a-Vision makes it easy to display your vision board on a desk, table, wall, on the refrigerator or even to wrap it around a composition sized journal and carry with you as a constant reminder of your goals. The Tote-a-Vision is our Resource of the Month. See details below.